Golf outing and Raffles go together like .....(well you fill in the blank) Golf themed Raffle Tickets are Great for charity events, company outings and giveaways. 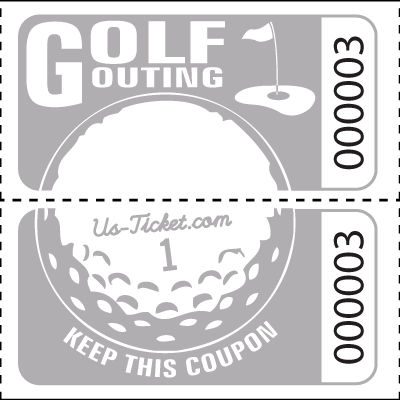 Our Golf Outing Tickets are 2 in x 2 in with a perforation down the center for easy separation. 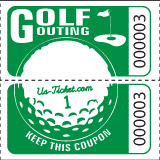 These tickets are printed on high quality ticket stock and numbered sequentially within each roll. 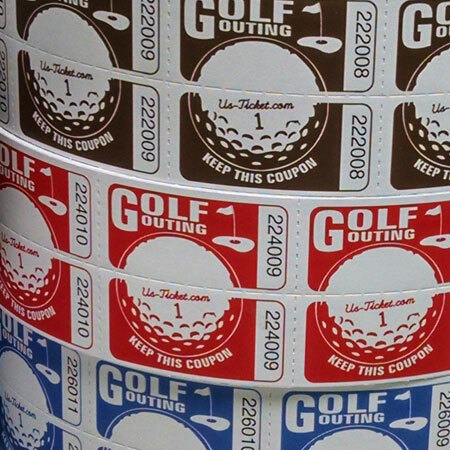 1000 - 2 part tickets per roll. 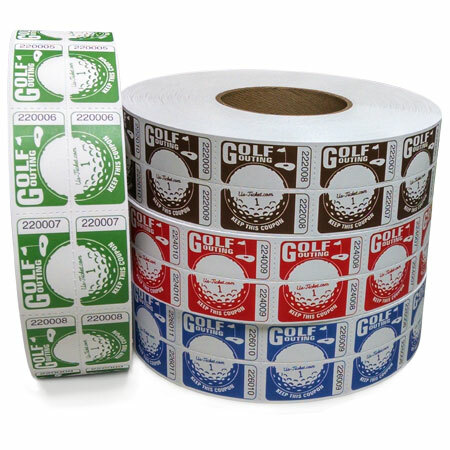 Let us customize these for your event - How about mulligan tickets or Drink Tickets - we have them as well.